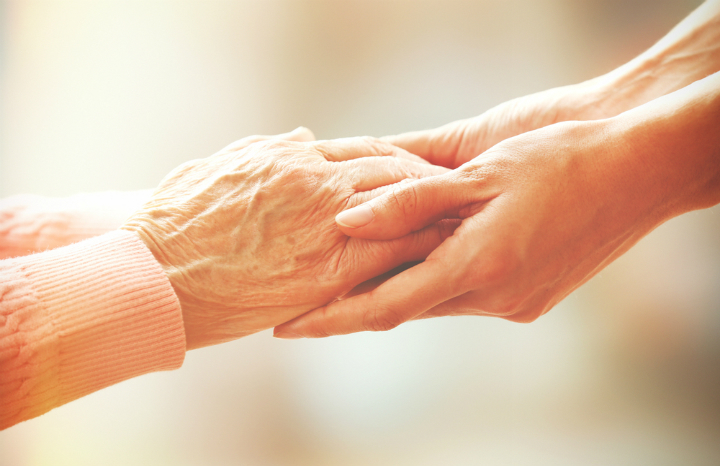 England’s care system is changing from 1 April 2015, with the aim of making care more consistent across the country and bringing the most significant reform in social care for more than 60 years. Anyone who receives care and support, or supports someone as a carer could benefit from the changes. And for the first time, carers will be put on the same footing as those they care for, allowing them to get the support they need for themselves. The changes could benefit the 5.4 million people in England who provide unpaid care and support to family members and friends. ‘Care and support’ is the help some adults need to live as well as possible with any illness or disability they may have. It can include help with things like getting out of bed, getting dressed and into work, cooking meals, seeing friends, caring for our families and being part of our communities. It might include emotional support at a time of difficulty or stress or helping people who are caring for a family member or friend. It can mean support from community groups and networks, for example, giving others a lift to a social event. Who receives care and support? Around 1.5 million people receive care and support (both in their own homes and in residential settings). This number is made up of older people (65+), particularly the very old (85+), and working age people who receive help for a variety of reasons, including physical or learning disabilities, mental health issues and wider social problems such as drug abuse. Isn’t care and support just social care? The term care and support is relatively new. It reflects a major change in the way people get the help that they need. This change has been happening gradually over the last few years. The Care Act brings together a lot of the best practices that have been developed across the country and makes the way care and support is provided more consistent for everyone. It is about treating people as individuals, focusing on needs and empowering people to take control of their lives. Care and support also shifts the emphasis away from institutions and recognises that needs can be met in many ways, including through support that is available in the community. Is care and support free? Unlike healthcare, care and support for adults is not, and has never been completely free. People will only be asked to pay what they can afford for their care and support. Sometimes the person will pay the full cost and sometimes the cost will be shared between the person and their local authority, depending on their circumstances. The people with the least money will get care from the council for free. How do people find out if they will receive financial help for care and support services? The amount that people will pay towards their care costs will depend on what type of care and support they require, how much income they have and what assets they own (like a house or other investments). The best way for people to find out how their care will be funded is to contact their local council. Find your council's contact details here. How will carers’ assessments make a difference? Carers’ assessments might lead to help in a number of ways. This could be practical support, like respite care to enable the carer to take a break from caring responsibilities, or it could be a direct payment to spend on things that will help them to look after their own wellbeing alongside caring. For many carers, one of the most valuable outcomes of contact with the local authority may be being put in touch with local support groups where they can meet other people in a similar situation. What happens in a carer's assessment? A carer’s assessment will look at the different ways caring affects a person’s life and will work out how to help them carry on doing the things that are important to them and their families. It should cover the specific things the carer does to look after the person they care for, their feelings about caring, their physical and emotional health as well as how caring affects their work, leisure, education, wider family and relationships. Physical, mental and emotional wellbeing will be at the heart of these assessments. The assessment is an opportunity for a carer to tell the council how caring for someone is affecting their life and what could be done to make things better for them and the person they look after. If I move to another area, will I lose my current care package? From April 2015, if a person has needs that meet the new national minimum eligibility threshold, they will be able to get help from their council wherever they live in England. Although the level of need will be the same across the country, help provided may differ between local authority areas. For example, one local authority may provide a buddying service to stop people from feeling lonely, whilst another may introduce people to community events in their area. How can someone find out if they have eligible needs? A person’s local authority will work with them to assess their care and support needs and decide whether they are at the level where the local authority needs to provide help. Typically, a person’s needs are likely to be classified as eligible if they are unable to complete a combination of basic everyday activities such as washing and dressing or getting in and out of bed by themselves. People who feel they may have eligible needs should get in touch with their local authority to arrange an assessment. Plus read our guide to choosing a care home, plus how to talk to relatives about care options.